Achievers are always looking for ways to become more successful; to reach goals more quickly and with greater assurance. 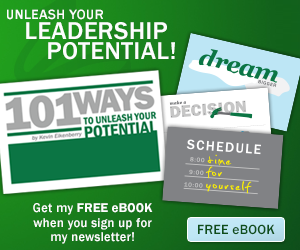 And, for centuries authors have been sharing the factors that help anyone reach their goals. If you consider achievement and achievers, you hopefully would recognize that one piece of the goal achievement puzzle is attitude. 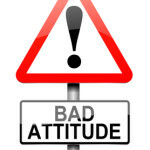 In most goal achievement writing I’ve seen, attitude is always discussed, often downplayed and typically misunderstood in the entire goal achievement puzzle; three good reasons to explore the ‘right’ attitude! In this brief article, I will outline what the right attitude is (to support maximum goal achievement), why it is important to us both as individuals and leaders and how to develop it. So, what is the right attitude? I’m glad you asked. Positive. This is where most of these conversations start . . . and stop. 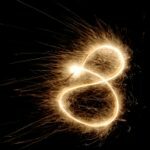 Prevailing wisdom and much research show that having a positive attitude improves the likelihood you will achieve your goal, speeds your progress and, perhaps most importantly, makes you more resilient – All of which help you overcome obstacles and remain persistent in pursuit of your goal. Possibility. The key to possibility is belief. Do you believe you can succeed and reach the goal? Do you believe we can earn it? Do you believe the goal is possible? If you think it is possible for others, can you see it for ourselves? This is more than just an extension of positive thinking. After all, if you didn’t think the goal was achievable, how likely are you to work hard to achieve it? Proactive. The right attitude isn’t about thinking and belief alone. The right attitude includes realizing that you must roll up your sleeves and do something. As you take action in the direction of your goals, you can build momentum, greater belief and enhance our attitude as we go. All of this sounds pretty good, I realize, but what makes this the “right” attitude; or, more practically, how does this attitude help the situation? The right attitude enables the right behaviors – behaviors of persistence, discipline and creativity. 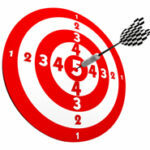 The right attitude enables right focus – staying on mentally target and alert for opportunities. The right attitude enables right results – it improves the likelihood of your success in reaching your goals. Behaviors, focus and results. The right attitude can create all of them, both for ourselves and those we lead. Set the goal. This is the start. Before you can achieve a goal you must know what it is. This sets everything in motion. The size and nature of the goal will impact all three P’s described above. Involve those who will be achieving the goal. If you want others to believe in the goal, you must involve them as much as possible. The right attitude comes easier when participants own the goal. Create greater belief. 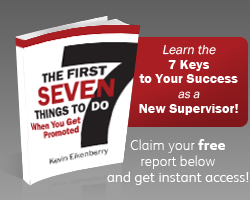 Remind people of past successes; reward and recognize small successes on the achievement path. As you do this you create a momentum effect and the greater belief buoys the attitude. Get excited about the goal. Actually this is a misstatement. Don’t focus on the goal itself, get yourself and others excited about the benefits that come from achieving the goal. When you know why you are doing the (hard) work of moving toward a goal, you are creating the right attitude. Make the goals visual and vivid. Help people “see” the achievement of the goal. While this has already been mentioned, it is critical. Help your team make that picture as real as you can. Then, whenever possible, remind people of that vision. We all know the right attitude will make a difference. Now you know some reasons why, and how you can influence and nurture that attitude in yourself, and those you lead. Once you get the attitude right, you are fast-forwarding your progress towards achieving your goals! 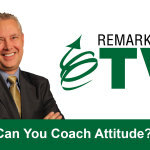 Remarkable TV: Can You Coach Attitude? It definitely improves my leading skills. And I also foresee it as a tool to help develop my team. Thanks for the feedback Marcia – I’m glad it helps! Awesome reads here. I subscribed to your RSS feed to get ’em and share ’em! It’s unbelievable how much the leader of a team influences the entire team through his or her action or inaction. Well, I guess you and your readers believe it – so it’s not that unbelievable at all. Anyway, it really does matter a whole lot so I thank you for your positively influencing so many leaders out there. I hope that it’ll make a real difference in the lives of not only those leaders – but the people they lead. Thanks Glenn – we’re glad to have you in the fold.